We’re all going on a Summer holiday … well, most of us are. Wherever you’re off to, it’s vital to get your summer holiday menswear spot on so you that can turn a few heads. In most of the shops they now have the Autumn deliveries in leaving many guys frustrated at not being able to purchase summer merchandise …as they see, still in Summer!! That’s where we come in. 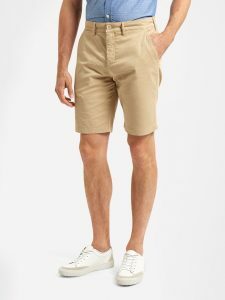 Apache has been selling stylish summer menswear for 24 years, so we know exactly what guys are looking for: good value, stylish, quality and comfortable gear that is still available at this late stage of the season. What’s more, we’re giving all our customers a 10% discount on T Shirts, Shorts and Footwear. In our opinion, a good pair of chino shorts is an absolute essential for summer holiday menswear. Thankfully, Lyle and Scott have brought out a stunning pair for summer 2017 in Stone (pictured), Moonlight, Navy and Dark Indigo. The tailored fit with stretch fabric goes well with all manner of leg shapes, from athletic gym boys to guys who have “let themselves go” a little! Available in 30 waist through to 38 waist. 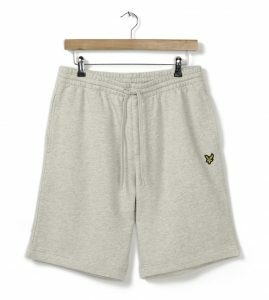 Nothing says “lazy holiday” like a pair of Sweat shorts. Lyle and Scott’s version uses soft loopback cotton that guarantees a cool and comfortable feel against your skin. There’s also a waistband drawstring to allow for those hips that are in-between sizes. Available in two classic Lyle and Scott colours – Navy and Light Grey Marl and from sizes Medium to a XXL. This Classic style still gets great reviews from our many lovely customers. Toms are the classic go-to summer holiday menswear shoe. Famous worldwide for supreme comfort (all shoes have a soft leather insole) and unmistakable design, we are confident that you’ll find the right pair at Apache. Our first pick is the classic, original canvas shoe design in Ash Grey with a flexible rope outsole for durability – tried and trusted. There’s also a shoe in Black, Navy, and Natural. 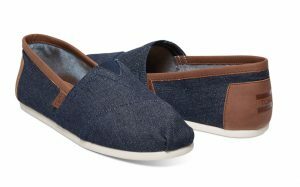 If you like the Toms style but fancy an extra touch of class, how about this denim-lined version? There’s a little bit more grip around the heel, ideal when not wearing socks. Truly one of a kind. 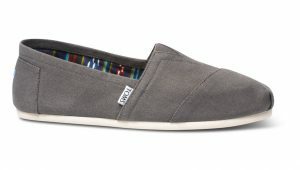 As with all Toms shoes there’s a lovely linen upper and a small Toms logo on the back. 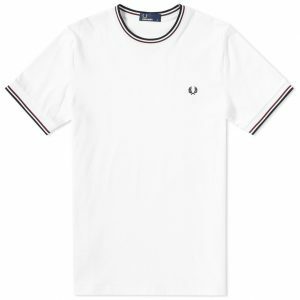 The classic “twin tipped” design can be found all over Fred Perry products, from Polo Shirts to Footwear. This simple White T Shirt (perfect in sunlight) uses twin tipping for a subtle design addition. Its made from a soft 100% Cotton jersey fabric, giving the shirt a lovely handle that doesn’t gather sweat in the hot summer months. Available in a full range of six superb colours including Iris Leaf and Bramble, both new for #AW17. Next10% Off Short Sleeve Shirts This Summer!